Professor Eccles has been Chair of Cancer Genetics since 2004. She graduated from Manchester University on 1983 and has trained in Manchester, Edinburgh and Southampton. After training in general medicine, then specialist training in adult oncology she worked on the molecular genetics of ovarian cancer in the MRC Human Genetics Unit in Edinburgh to gain her MD in 1992. She then moved to Southampton to a research post in Genetic Epidemiology simultaneously training in Clinical Genetics and when appointed to a consultant post in Southampton in 1995 she set up one of the first NHS funded Cancer Genetics Services in the UK within the Wessex Clinical Genetics Service. Professor Eccles is the Chief Investigator for a large national cohort study (the Prospective study of Outcomes in Sporadic versus Hereditary breast cancer). This study has recruited over 3000 women with breast cancer diagnosed before 41 years of age and provides material for studies investigating the role of inherited genetic mutation in breast cancer risk and prognosis. She is PI for a number of other clinical studies that broadly aim to improve diagnosis or management of genetic predisposition to cancer and incorporates cancer prevention studies. 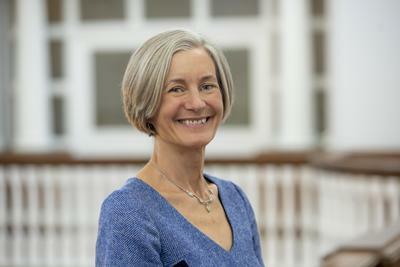 Professor Eccles is part of Cancer Sciences which incorporates the Southampton Cancer Research UK Centre, the Southampton Clinical Trials Unit and links closely through our clinical academics to Cancer Care at UHS (https://www.southampton.ac.uk/medicine/research/groups/cancer_sciences_research_group.page). She continues to work as an NHS consultant in clinical cancer genetics which encompasses diagnosis and management of many different genetic conditions that predispose to tumour development in families. Prospective study of Outcomes in Sporadic versus Hereditary breast cancer (acronym POSH). This National Cancer Research Network Portfolio study has recruited over 3000 women diagnosed with breast cancer at very young ages (before 41 years at diagnosis). Comprehensive clinical data and DNA samples for most recruits are available. Flagging in the national Medical Research Information Service database means that the patients taking part in the study can be tracked for twenty years following diagnosis. The aim of the study has been to explore the role of inherited genetic variants in determining tumour biology, treatment responses and overall impact on survival. Obesity is associated with a significantly worse chance of survival even after all known tumour prognostic factors are accounted for (Copson ER, Cutress RI, Maishman T, Eccles BK, Gerty S, Stanton L, et al. Obesity and the outcome of young breast cancer patients in the UK: the POSH study. Ann Oncol. 2015;26(1):101-12.). The study provides opportunities for projects for students on the MSc Clinical Trials and Statistics course in Southampton (Copson E, Eccles B, Maishman T, Gerty S, Stanton L, Cutress RI, et al. Prospective observational study of breast cancer treatment outcomes for UK women aged 18-40 years at diagnosis: The POSH study. J Natl Cancer Inst. 2013;105(13):978-88.). Working collaboratively with researchers in qualitative medicine in Health Sciences, we have developed a Decision Aid aimed specifically at younger women will be developed and piloted in preparation for a future randomised trial of its use (Grimmett C, Brooks C, Recio-Saucedo A, Cutress R, Copson E, Evans G, et al. YoDA BRCA: views and experiences around genetic testing for young women with breast cancer: developing a decision aid. Psycho-Oncology. 2016;25:10-1.). As co-lead for a £4.1m CRUK Population Science Accelerator award (2019-2024) between QMUL, Southampton, Cambridge, ongoing research will address the effective interpretation and clinical translation of inherited variants in cancer susceptibility genes. This work will help to translate cancer genetic testing into the population and as a risk prediction tool and brings maximum benefits of new technology to future medical practice. In addition to the scientific programme developing analysis tools and integrating complex datasets to improve variant interpretation, the importance of clinician and patient education and patient and public involvement are specifically encompassed across three work packages lead from Southampton. Spurdle, A. B., Greville-Heygate, S., Antoniou, A., Brown, M. A., Burke, L. J., de la Hoya, M., ... Eccles, D. (Accepted/In press). Towards controlled terminology for reporting germline cancer susceptibility variants: an ENIGMA report. Journal of Medical Genetics. Eccles, D. (Accepted/In press). Genetic testing and clinical management practices for variants in non-BRCA1/2 breast (and breast and ovarian) cancer susceptibility genes: an international survey by the ENIGMA clinical working group. JCO Precision Oncology. EMBRACE, GENEPSO, BCFR, HEBON, kConFab, & IBCCS (Accepted/In press). The influence of number and timing of pregnancies on breast cancer risk for women with BRCA1 or BRCA2 mutations. Journal of the National Cancer Institute Cancer Spectrum. Cooper, R., Markham, H., Theaker, J., Bateman, A., Bunyan, D., Sommerlad, M., ... Eccles, D. (Accepted/In press). Primary clear cell microcystic adenoma of the sinonasal cavity: pathological or fortuitous association? Case Reports in Pathology, 1-7. Kar, S., Adler, E., Tyrer, J., Hazelett, D., Anton-Culver, H., Bandera, E., ... Flanagan, J. (Accepted/In press). Enrichment of putative PAX8 target genes at serous epithelial ovarian cancer susceptibility loci. British Journal of Cancer. Kuchenbaecker, K., & Eccles, D. (Accepted/In press). Evaluation of polygenic risk scores for breast and ovarian cancer risk prediction in BRCA1 and BRCA2 mutation carriers. JNCI Journal of the National Cancer Institute, 1-59. Rosenthal, A., Fraser, L., Philpott, S., Manchanda, R., Burnell, M., Badman, P., ... Jacobs, I. J. (Accepted/In press). Evidence of stage-shift in women diagnosed with ovarian cancer during Phase 2 of the UK Familial Ovarian Cancer Screening Study (UKFOCSS). Journal of Clinical Oncology, 1-36. Eccles, D. M., Li, N., Handwerker, R., Maishman, T., Copson, E. R., Durcan, L. T., ... Campbell, I. (Accepted/In press). Genetic testing in a cohort of young patients with HER2 amplified breast cancer. Annals of Oncology, 1-20. Fagerholm, R., Schmidt, M. K., Khan, S., Rafiq, S., Tapper, W., Aittomäki, K., ... Nevanlinna, H. (2015). The SNP rs6500843 in 16p13.3 is associated with survival specifically among chemotherapy-treated breast cancer patients. Oncotarget, 6(10), 7390-7407. Moore, K., Thomas, G., Duffy, S., Warwick, J., Gabe, R., Chou, P., ... Marshall, J. (Accepted/In press). Therapeutic targeting of integrin ?v?6 in breast cancer. JNCI Journal of the National Cancer Institute. Upstill-Goddard, R., Eccles, D., Fliege, J., & Collins, A. (Accepted/In press). Machine learning approaches for the discovery of gene-gene interactions in disease data. Briefings in Bioinformatics. Hammond, V. N., Gerty, S. M., Sillibourne, J., Ward, D., Mattocks, C., Simmonds, P., ... Eccles, D. M. (2007). Inherited mutations in BRCA1 are much more frequent than in BRCA2 amongst young breast cancer cases. Journal of Medical Genetics, 44, pp.S132. Kote-Jarai, Z., Matthews, L., Osorio, A., Shanley, S., Giddings, I., Moreews, F., ... The Carrier Clinic Collaborators (2006). Accurate prediction of BRCA1 and BRCA2 heterozygous genotype using expression profiling after induced DNA damage. Clinical Cancer Research, 12(13), 3896-3901. Shanley, S., McReynolds, K., Rdern-Jones, A., Ahern, R., Fernando, I., Yarnold, J., ... The Breast Unit of the Royal Marsden NHS Foundation Trust (2006). Acute chemotherapy-related toxicity is not increased in BRCA1 and BRCA2 mutation carriers treated for breast cancer in the United Kingdom. Clinical Cancer Research, 12(23), 7033-7038. Shanley, S., McReynolds, K., Rdern-Jones, A., Ahern, R., Fernando, I., Yarnold, J., ... The Breast Unit of the Royal Marsden NHS Foundation Trust (2006). Late toxicity is not increased in BRCA1/BRCA2 mutation carriers undergoing breast radiotherapy in the United Kingdom. Clinical Cancer Research, 12(23), 7025-7032. Mitchell, G., Antoniou, A. C., Warren, R., Peock, S., Brown, J., Davies, R., ... Easton, D. F. (2006). Mammographic density and breast cancer risk in BRCA1 and BRCA2 mutation carriers. Cancer Research, 66(3), 1866-1872. Campbell, I. G., Eccles, D. M., & Choong, D. Y. (2005). No association of the MDM2 SNP309 polymorphism with risk of breast or ovarian cancer. Cancer Letters, 17. Evans, D. G. R., Eccles, D. M., Rahman, N., Young, K., Bulman, M., Amir, E., ... Lalloo, F. (2004). A new scoring system for the chances of identifying a BRCA1/2 mutation outperforms existing models including BRCAPRO. Journal of Medical Genetics, 41(6), 474-480. Antoniou, A., Pharoah, P. D. P., Narod, S., Risch, H. A., Eyfjord, J. E., Hopper, J. L., ... Easton, D. F. (2003). Average risks of breast and ovarian cancer associated with BRCA1 or BRCA2 mutations detected in case series unselected for family history: a combined analysis of 22 studies. American Journal of Human Genetics, 72(5), 1117-1130. Seal, S., Barfoot, R., Jayatilake, H., Smith, P., Renwick, A., Bascombe, L., ... Rahman, N. (2003). Evaluation of Fanconi Anemia genes in familial breast cancer predisposition. Cancer Research, 63(24), 8596-8599. Eccles, D. M., Barker, S., Pilz, D. T., & Kennedy, C. (2003). Neuronal migration defect in a BRCA1 gene carrier: possible focal nullisomy? Journal of Medical Genetics, 40(e24). Campbell, I. G., Allen, J., & Eccles, D. M. (2003). Prohibitin 3' untranslated region polymorphism and breast cancer risk. Cancer Epidemiology, Biomarkers & Prevention, 12, 1273-1274. Schutte, M., Seal, S., Barfoot, R., Meijers-Heijboer, H., Wasielewski, M., Evans, D. G., ... Rahman, N. (2003). Variants in CHEK2 other than 1100delC do not make a major contribution to breast cancer susceptibility. American Journal of Human Genetics, 72(4), 1023-1028. Leach, M. O., Eeles, R. A., Turnbull, L. W., Dixon, A. K., Brown, J., Hoff, R. J., ... Rubin, C. (2002). The UK national study of magnetic resonance imaging as a method of screening for breast cancer (MARIBS). Journal of Experimental and Clinical Cancer Research, 21(3 Suppl), 107-114. Baxter, S. W., Choong, D. Y. H., Eccles, D. M., & Campbell, I. G. (2002). Transforming growth factor ? receptor 1 polyalanine polymorphism and exon 5 mutation analysis in breast and ovarian cancer. Cancer Epidemiology, Biomarkers & Prevention, 11(2), 211-214. Eccles, D., Harvey, J., Bateman, A., & Ross, F. (2001). A novel 3' mutation in the APC gene in a family presenting with a desmoid tumour. Journal of Medical Genetics, 38(12), 861-863. Lucassen, A., Watson, E., & Eccles, D. (2001). Evidence based case report. Advice about mammography for a young woman with a family history of breast cancer. BMJ, 322(7293), 1040-1042. Baxter, S. W., Choong, D. Y. H., Eccles, D. M., & Campbell, I. G. (2001). Polymorphic variation in CYP19 and the risk of breast cancer. Carcinogenesis, 22(2), 347-349. Aldahmesh, M., Spanakis, E., Day, I. N. M., & Eccles, D. M. (2001). The application of microplate array diagonal gel electrophoresis (melt-MADGE) to high throughput inexpensive BRCA1 mutation analysis. Journal of Medical Genetics, 38, pp.S58. Day, I. N. M., Aldahmesh, M. A., Haddad, L., Alharbi, K. K., Chen, X., Rassoulian, H., ... Human Genome Organization (HUGO) (2005). MeltMADGE: economical very high-throughput mutation scanning using thermal ramp electrophoresis in conjunction with MADGE (microplate array) gels. In G. R. Taylor, & I. N. Day (Eds. ), Guide to Mutation Detection (pp. 85-99). Hoboken, USA: Wiley. Professor Eccles delivers the Cancer Genetics lecture in Semester 4 for the BM5 students and acts as personal tutor to undergraduate medical students as they progress through the course. Professor Eccles’ main teaching commitment is to training at specialist and F2 level in Clinical Genetics, she is the Wessex Regional Specialist Advisor for Genetics Foundation year 2 lead tutor for Clinical Genetics. Nationally she is the Academic Vice President of the Clinical Genetics Society and a member of the RCP Specialist Advisory Committee for Clinical Genetics. She also advises on genetic education in the Oncology trainees curriculum and is involved in training for oncology registrars in the Wessex Region. As an expert in Cancer genetics, Professor Eccles is a regular faculty member at a variety of national and international educational fora including the European Society for Medical Oncology conference, European School of Oncology, the European School of Human Genetics and the Anglo-Indian Genetics Collaboration.